Celina Cerf is a speech-language pathologist who specializes in the evaluation and treatment of children with autism spectrum disorders. She is an integral member of the STEPS early intervention program for children with autism at the University of Michigan Health System. 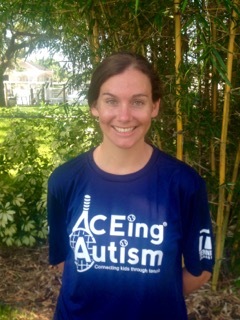 Celina enjoys facilitating social opportunities for children with ASD and is excited to connect children through tennis.She has expanded ACEing Autism’s program to Ann Arbor, Michigan and is thrilled to be apart of a growing organization dedicated to making a difference in children’s lives.